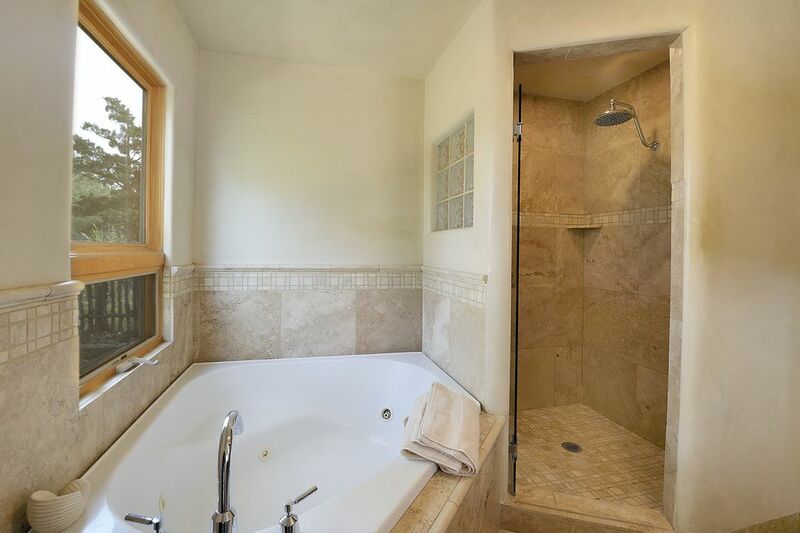 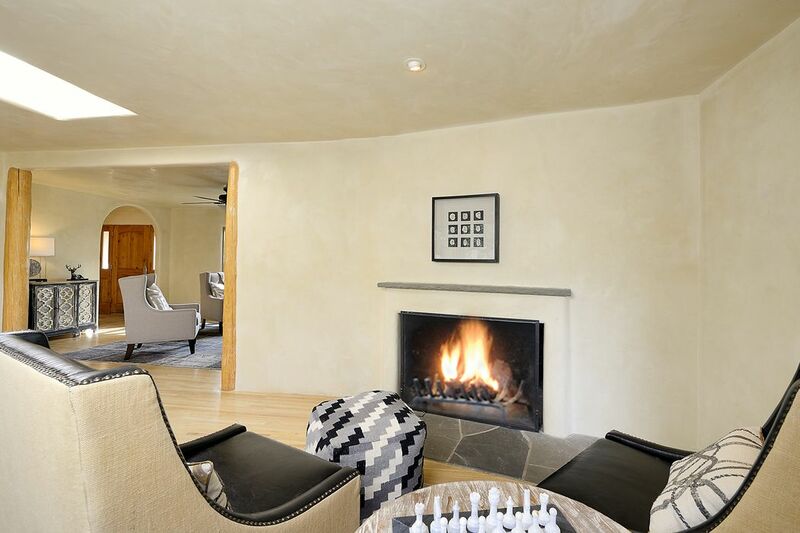 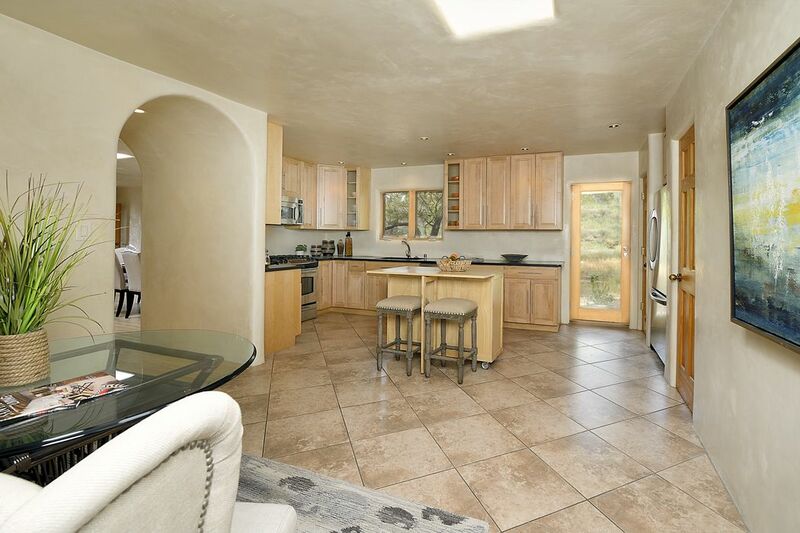 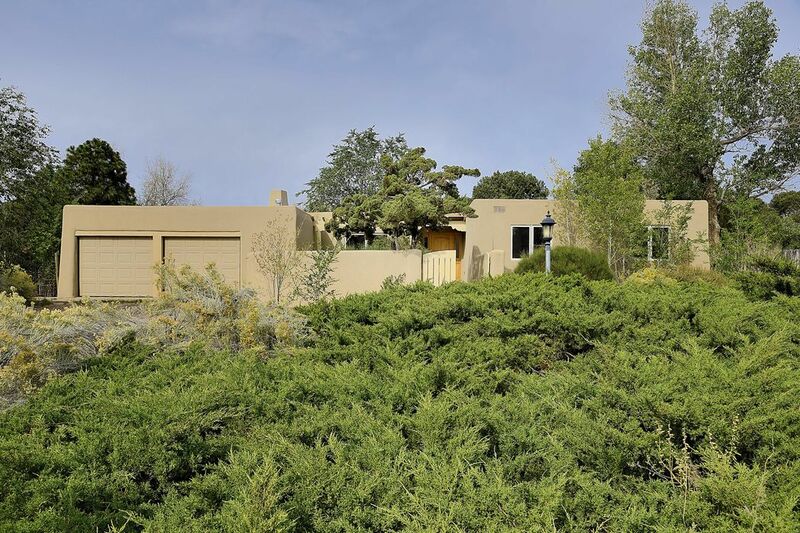 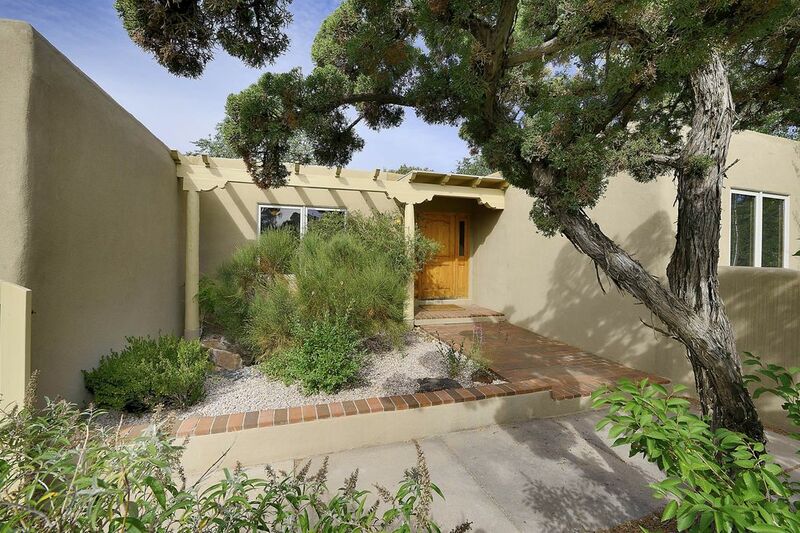 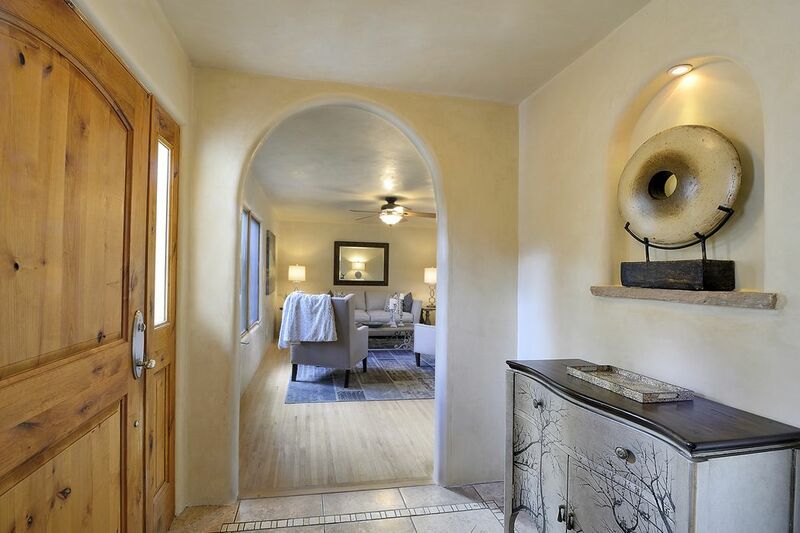 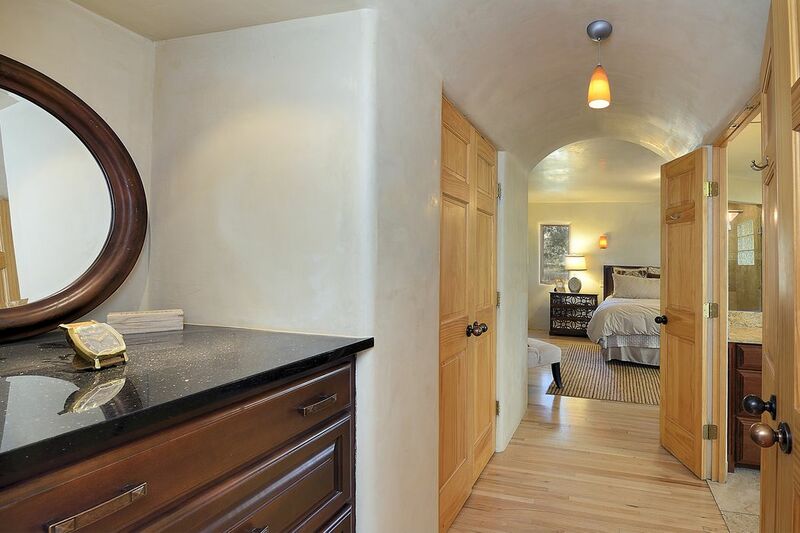 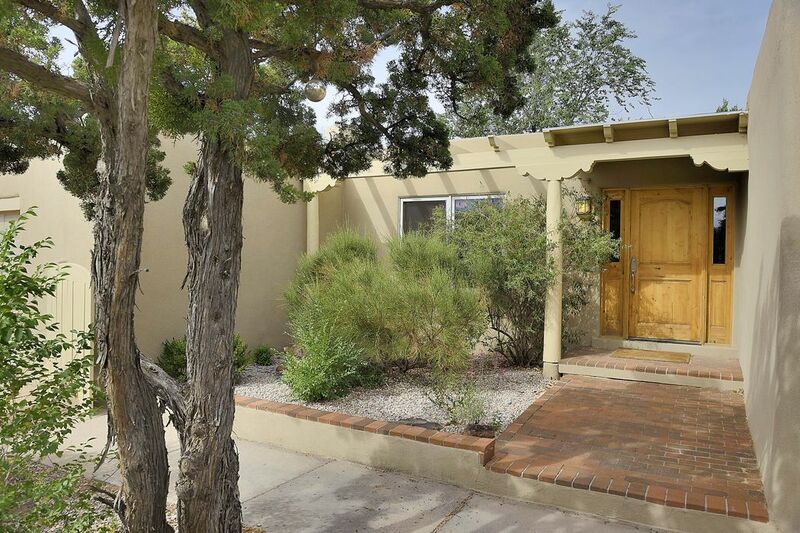 2361 Santa Barbara, Santa Fe, NM 87505 | Sotheby's International Realty, Inc.
$550,000 3 Bedrooms2 Full Baths1,941 sq. 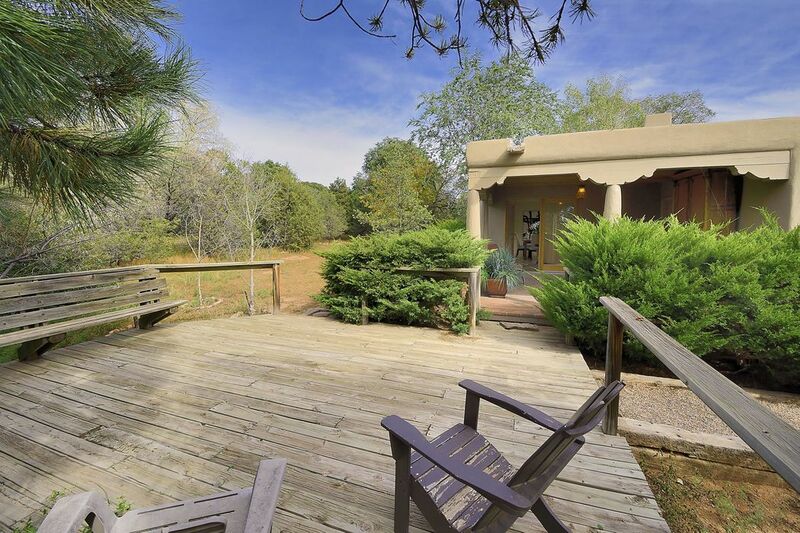 ft.
Conveniently located in the Sol Y Lomas area, this single level 3 bedroom 2 bath home is nestled among the pinon and juniper trees on just over half an acre of land. 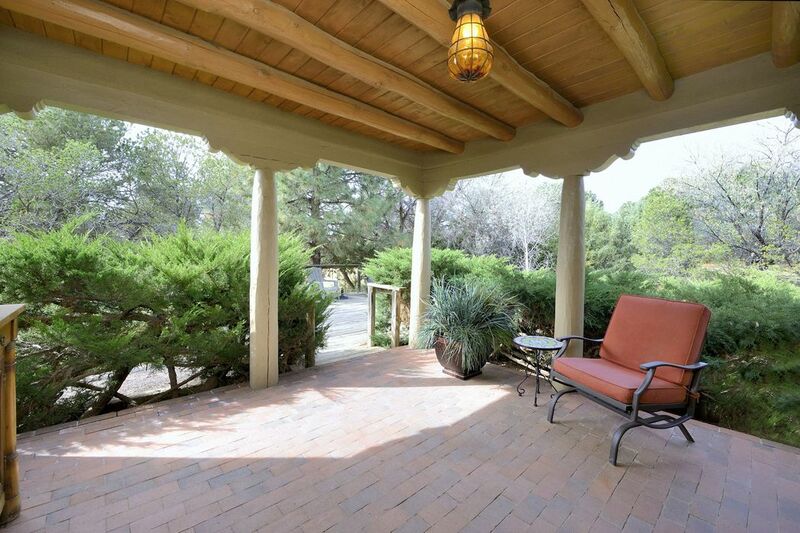 Step through the gate into the lovely landscaped courtyard leading to the entry. 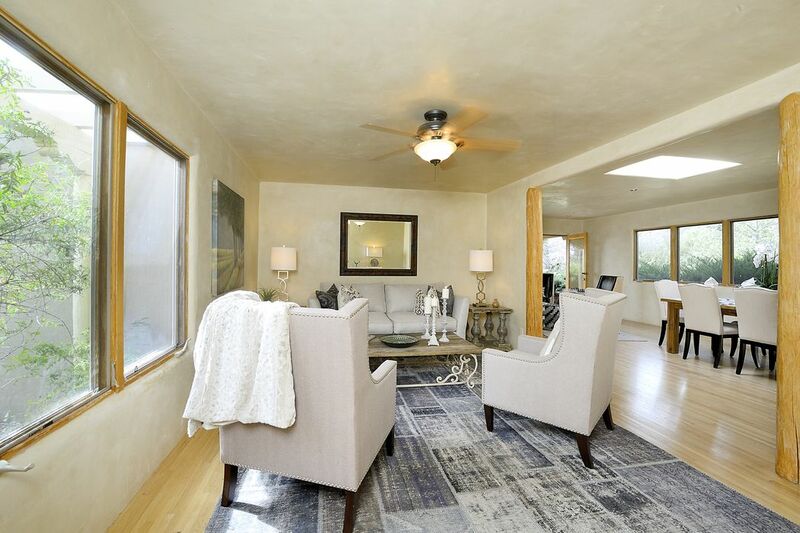 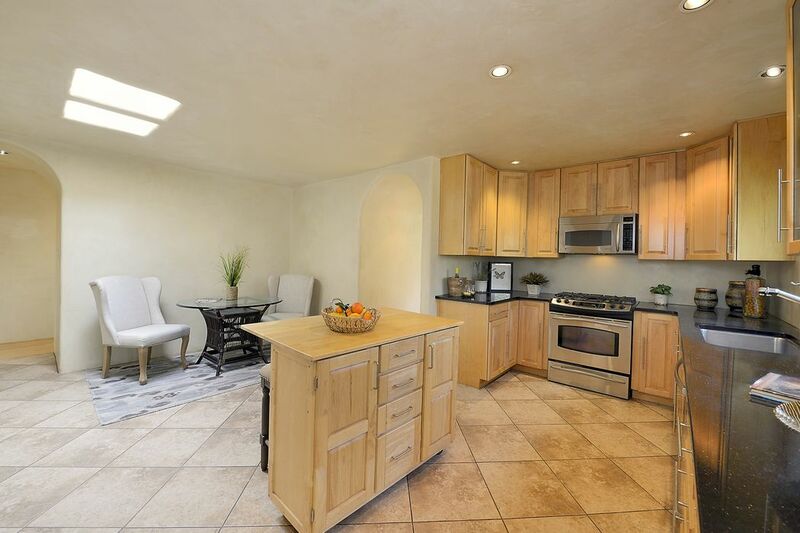 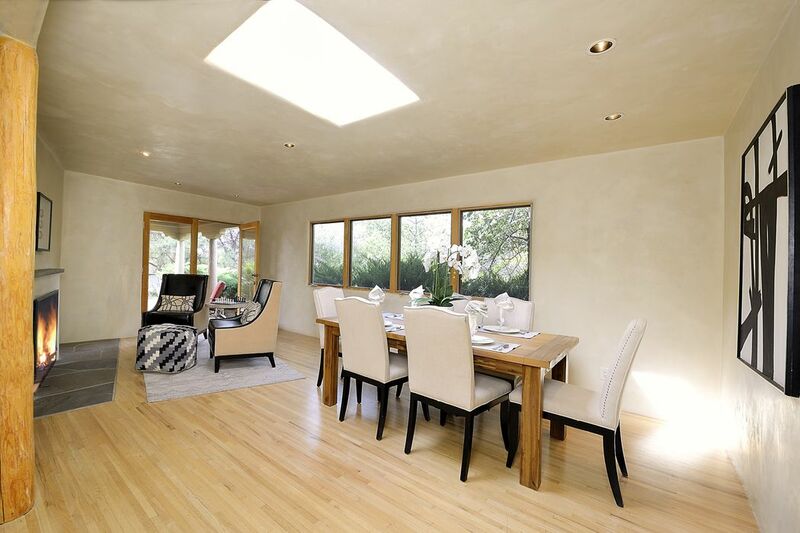 Inside, the home has been updated with elegant wood and tile floors, diamond plaster walls and skylights throughout. 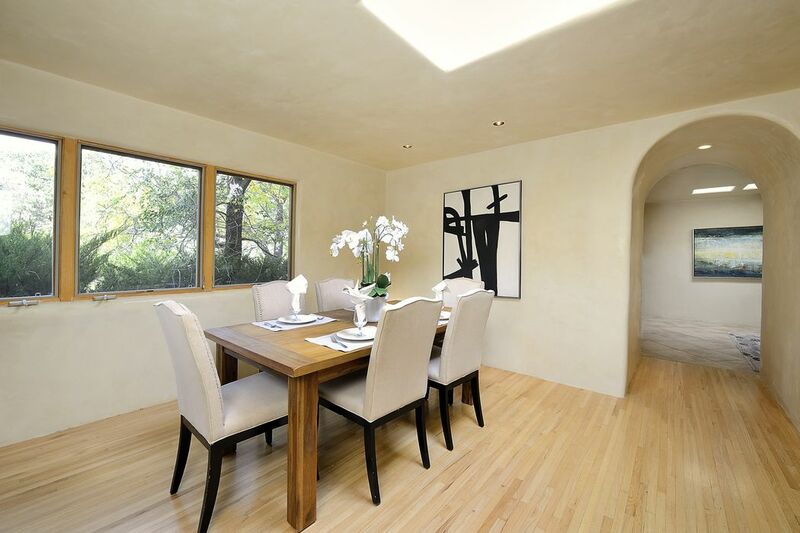 The formal dining room/living room with a fireplace that flows easily into the den makes it perfect for entertaining. 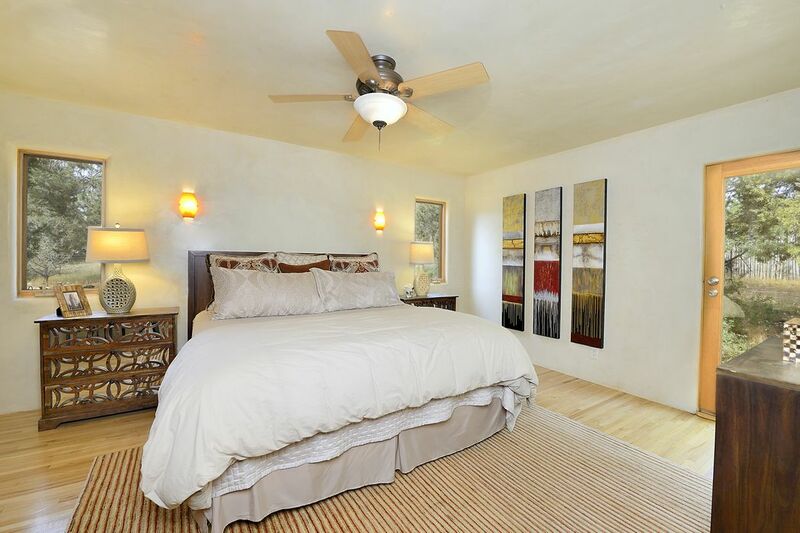 The master bedroom has been redone with a luxurious ensuite bathroom that will sure to impress. 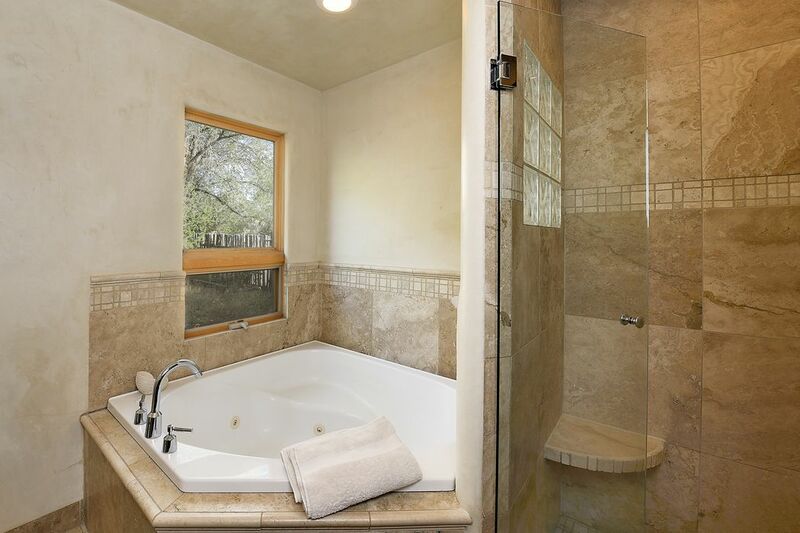 The jetted tub, tile step-in shower with sunflower showerhead and custom tile accents are just a few of the highlights. 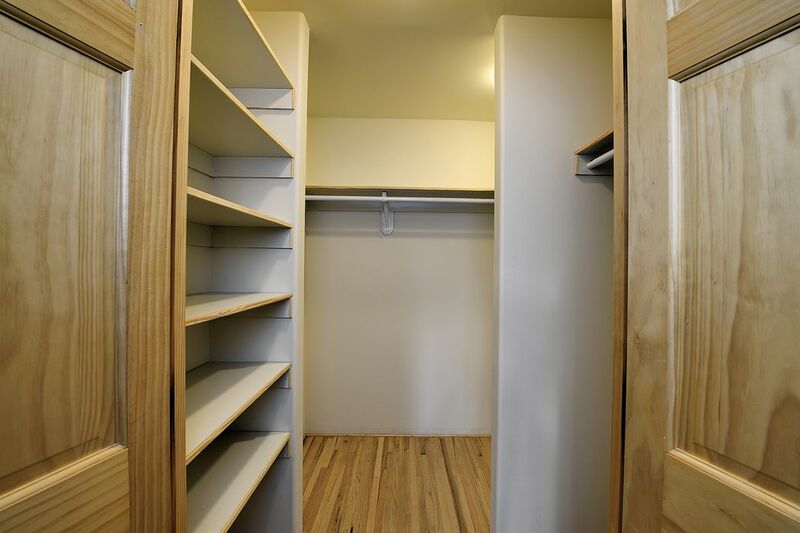 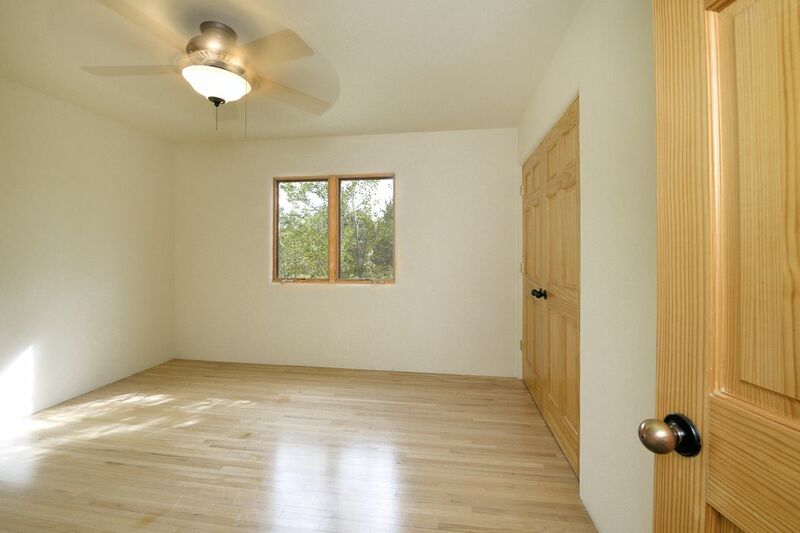 In addition, there's a roomy walk-in closet, and a door leading from the master bedroom to the backyard. 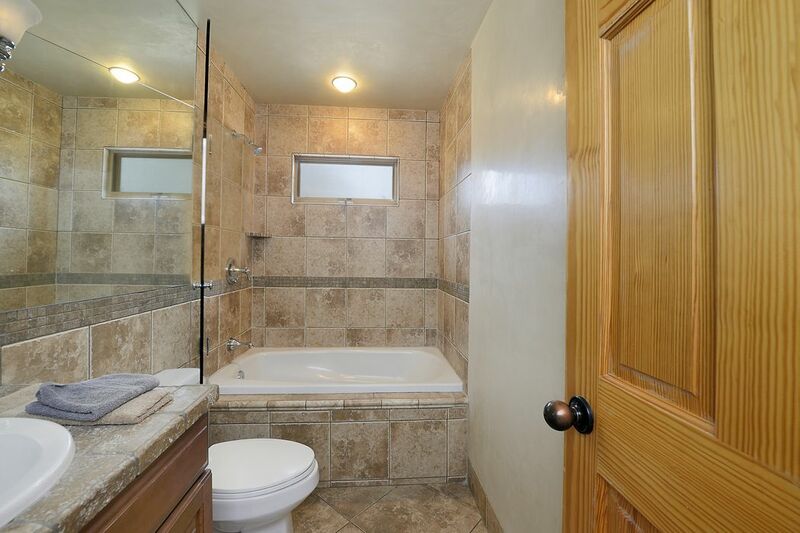 Two additional bedrooms share a full bath. 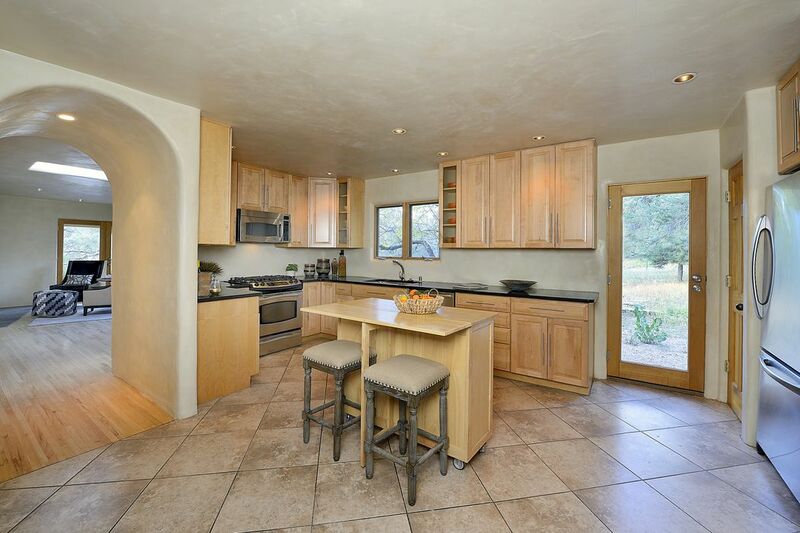 The eat-in kitchen with space for a small table, has granite counter tops, stainless steel appliances and ample wood cabinetry. 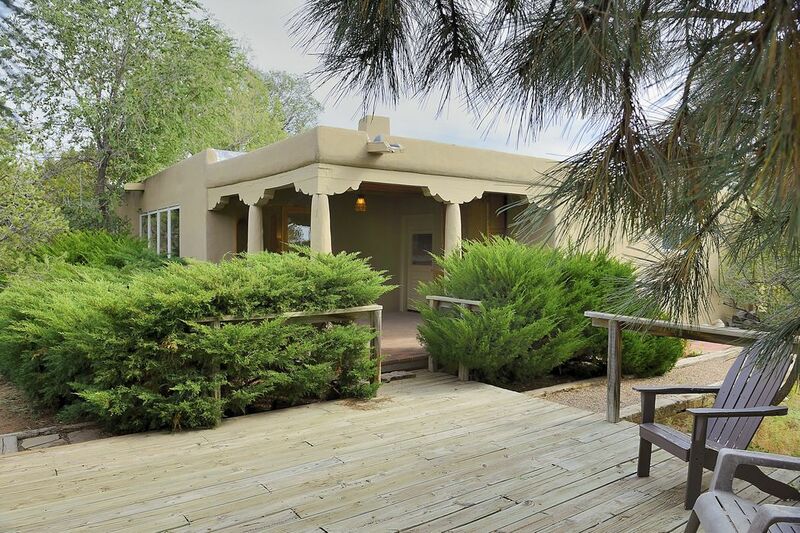 Outdoor entertaining is a breeze with two patios, one leading to an open wooden deck. 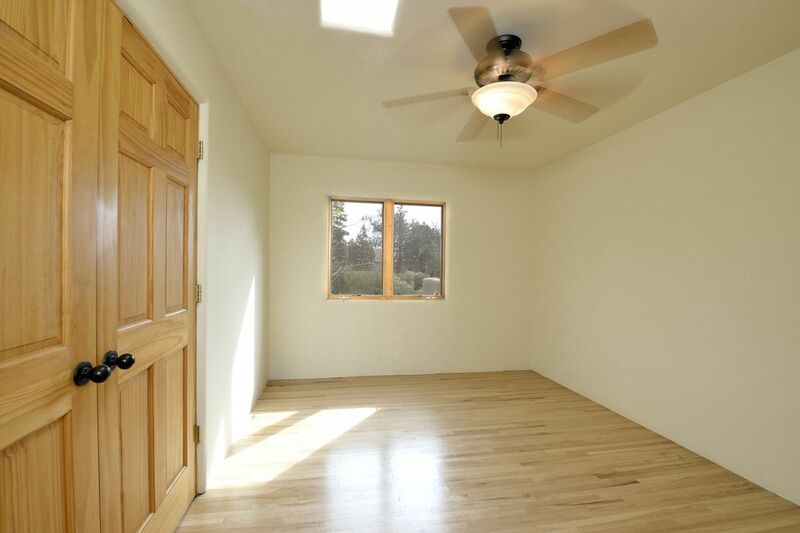 There's an attached 2-car garage, with a long curved driveway for extra parking, and a large storage shed. 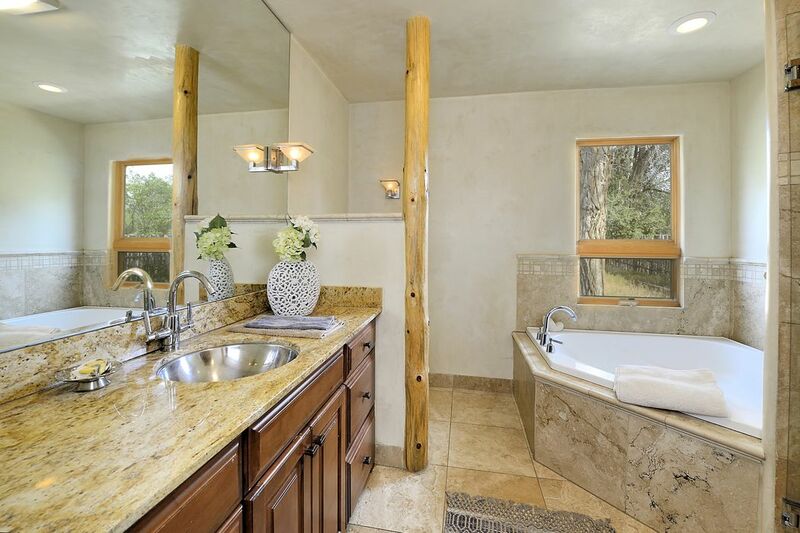 Close to town, shopping and medical centers but set out of the way in natural surroundings, this home offers the best of both worlds.